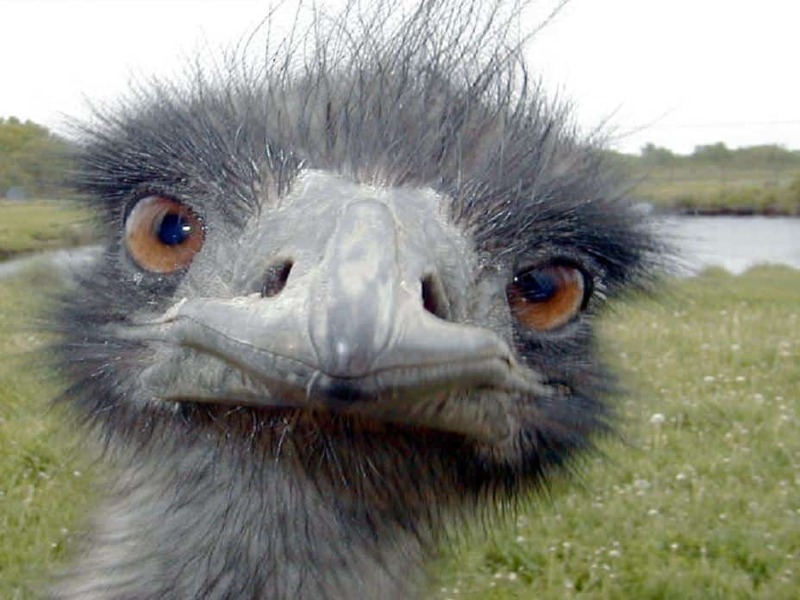 Home / Blog / That’s emu-zing!!! “Snake Oil Salesman.” The phrase conjures up images of seedy profiteers traveling the old West in Conestoga wagons trying to exploit an unsuspecting public by selling it fake cures. And when I was presented with emu oil recently, that’s exactly what came to my mind. However, after using the product myself, I am no longer a skeptic. Devotees of the product believe that it can treat a variety of human ailments, from arthritis to cancer, from alopecia to Crohn’s and IBM. To those claims, I have no experience. But I have seen its effectiveness when it comes to aiding in the healing of new piercings. Emu oil is a natural food by-product with many beneficial properties. Laboratory studies have shown that it penetrates through all layers of the skin, and is rich in nutrients that feed the skin to aid in new cell development thus hastening the healing process. Emu oil is a natural emollient keeping skin moist and pliable. Emu oil does not clog pores, and it doesn’t prevent air circulation like Neosporin and Bacitracin. Because of the deep penetrating ability of emu oil, it works with our bodies from the inside out, not just topically. It’s safe even for use inside the mouth, and no, it doesn’t taste like dead bird—or like anything at all. High-quality emu oil is tasteless and odorless. The unsaturated fatty acids in emu oil are high in linoleic and oleic acids which have both an anti-inflammatory effect on the skin. Emu oil is rich in Omega 3, 6 and 9 EFAs which are necessary in repairing damage. The oil is considered hypo-allergenic and I haven’t witnessed any negative responses to it, nor have there been any reports of adverse reactions or toxicity. In its pure state, emu oil is bacteriostatic—restricting the growth and activity of microorganisms. For piercings, gently massage one drop of emu oil around the opening(s) of your piercing with clean fingers twice daily on clean skin after your saline soak. For stretching, apply emu oil daily to clean area two weeks prior to stretching to help keep skin moist and pliable. Emu oil will help strengthen skin to prevent tears and blowouts. Apply a drop of emu oil on new jewelry before insertion of larger gauge to ease glide. The oil is safe to use on organics.